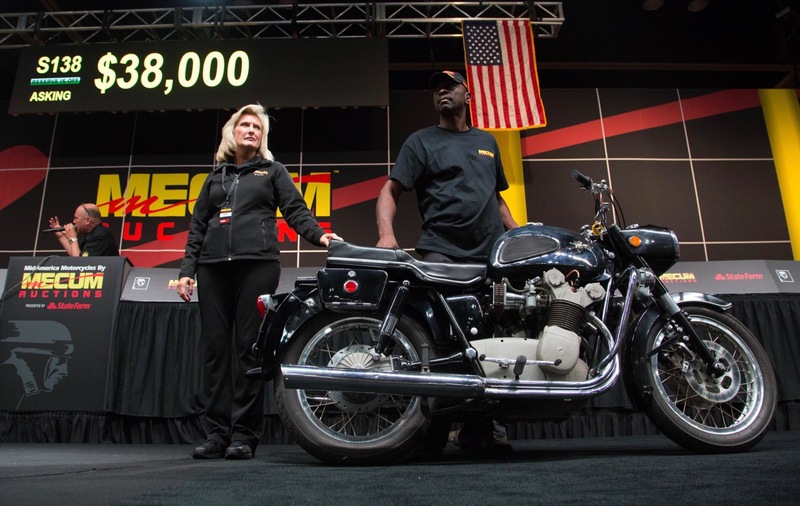 Mecum Auctions’ inaugural MidAmerica Chicago motorcycle auction found new owners for 169 vintage and antique motorcycles last weekend and generated $1,309,043 in total sales. 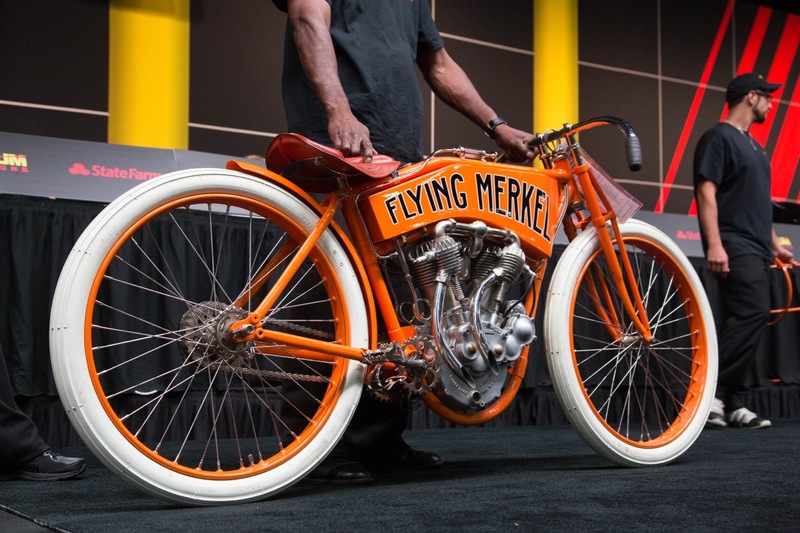 “We were excited to hold our first auction in the Chicagoland area,” Ron Christenson, president of Mecum’s MidAmerica Motorcycle Division, said in a news release. “The crowds shared in that enthusiasm, which was great to see. There isn’t anything else like this in the area. The top sale at the auction was a 1912 Flying Merkel board track racing motorcycle that hammered sold for $65,000 (Mecum reports hammer prices that do not include the buyer’s premium). Among other highlights, a 1949 Indian Arrow previously owned by Steve McQueen hammered for $33,000. The Mecum Auctions team already is back at work this weekend with its inaugural collector car sale in Portland, Oregon. The next MidAmerica motorcycle auction is scheduled for August 18-20, when 50 motorcycles will be included in Mecum’s Monterey auction.